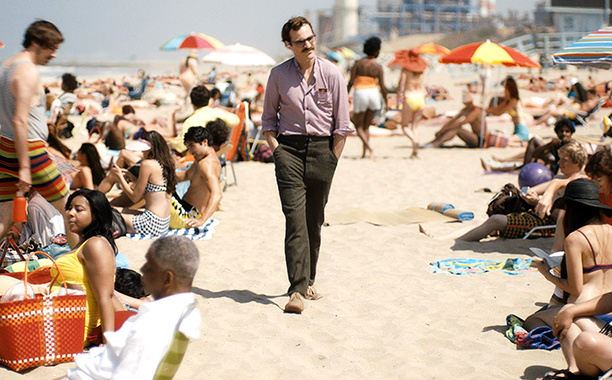 Congratulations to Spike Jonze on his Sunday win of the Academy Award for Best Original Screenplay for his latest film, Her. I just saw this movie on Saturday evening, thanks to the propensity for copious films to be available in pirated DVD forms here in China; definitely some of the best 12 kuai (the rough equivalent of $1.95) I have ever spent. This Poe does not feature an excerpt from the film since I do not dive too deeply into any sort of analysis of the film; however, my intention is to merely mention some of the elements which I enjoyed in viewing without getting overly verbose. Many of the elements of the production design (art design, costuming, cinematography…) were delightful, but I leave those to the hands of others. The second part of Her (discussed here, at least) which caught my fancy during viewing, most likely due to my China travels of late, is the fact that the Los Angeles of the near future is in fact the Shanghai of the present. While watching, I did not quite suspect this until Theodore takes the high speed train with Samantha on their romantic getaway (I find it charmingly optimistic that Jonze’s narrative assumes California will have got a high speed line done); after Theodore disembarks, the white, streamlined front of the train registered instantly as the same type of train on which I spend an inordinate amount of time zipping around China. With the close of the film, I studiously observed the credits to see where the film had been shot, and sure enough, it was my beloved Shanghai. (Moreover, if you did not know that I love a good train, there is ample evidence here, here and here.) Throughout the moments in which Theodore is wandering thoughtfully around his cityscape, I had kept thinking, I like how they’re doing future-L.A. 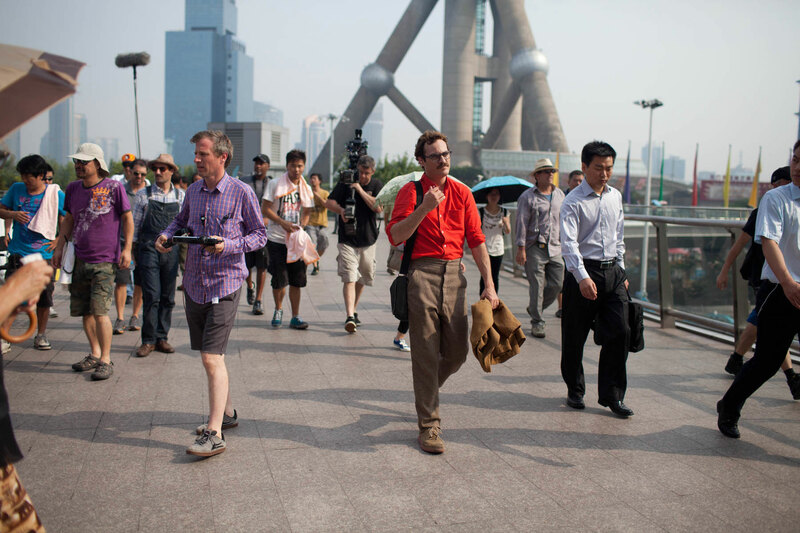 I dig that Jonze turned to China, often the cliché place of the next step in development and on the cusp of its own future, as the vision of the eventual Los Angeles. As China rapidly urbanizes on a scale unseen in human history, it may be apt that Jonze shows his future metropolis through the lens of this current one, potentially displaying things to come for cities everywhere. Lastly, on a note relating to the shooting locations and how these have endeared the film to me, I feel that Theodore and Samantha’s trip to an unidentified snowy mountain locale was perhaps filmed at Donner Lake in Truckee, California. This place maintains a special place in my heart because my gentleman friend’s employer rents a cabin on Donner Lake every winter for him and his colleagues (plus their friends) to appreciate, in rotation. I have spent many a late autumn and winter weekend hiking and cavorting around this lake, and the view Theodore gets from the pass looks just like Donner Lake to me. Maybe falsely, I also recognized the type of trees (which, of course, could be anywhere, yet the way in which the bright green moss grows looks familiar) and the cut of the railway cutting across the mountain that I glimpsed briefly in one scene. I think that visiting three (two perhaps in reality) places which mean so much to me, past and present—Los Angeles (around which I grew up and write about here), Shanghai (a metropolis stoking my big-city passions, having popped in and out during the past years of China travel) , and Donner Lake—further affords Her the means to nestle into my affections. **I also nurture a little lady crush on Scarlett Johansson, whom I loved in Ghost World and Lost in Translation and find to be one of my favorite mainstream actresses.